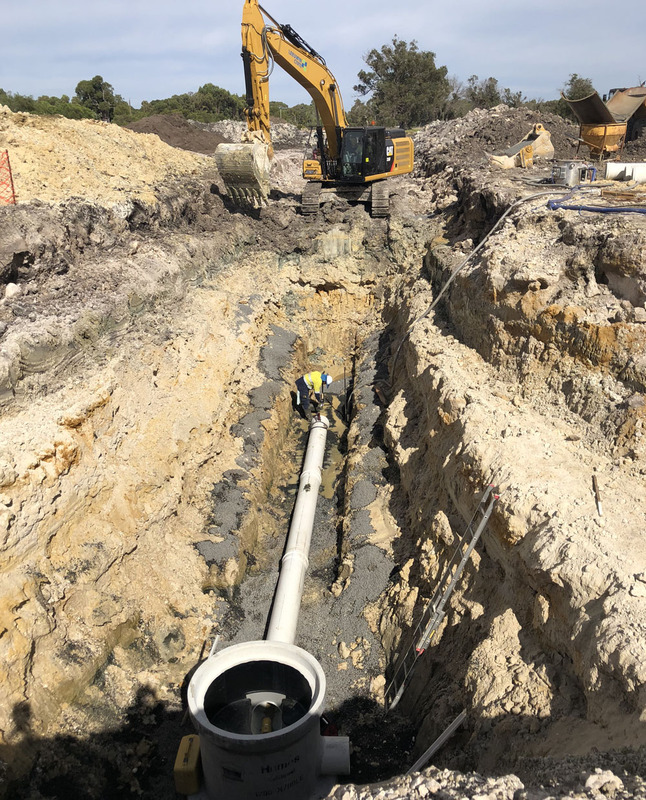 Leeuwin Civil were engaged to perform excavation and construction works for the first stage of this five-stage rural subdivision (consisting of 2,000m2 block sizes) located approximately 5km from the heart of Busselton, in the south west of Western Australia. 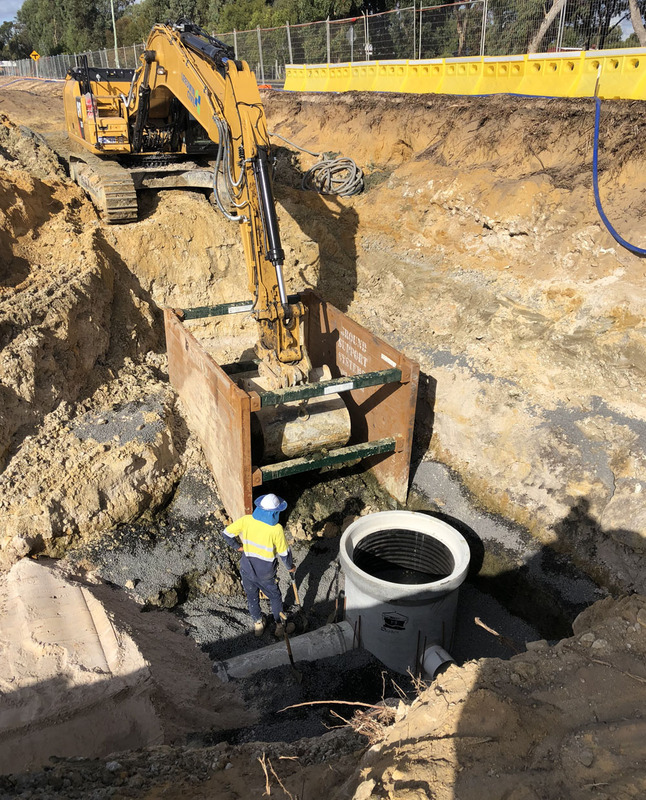 Works included installation of a 7m-deep sewer main construction running for 500m through limestone cap rock – requiring dewatering due to a body of water encountered at 5m. A Faux Bridge was constructed by reusing excavated limestone rock, which was broken into smaller rocks to create the faux bridge effect. 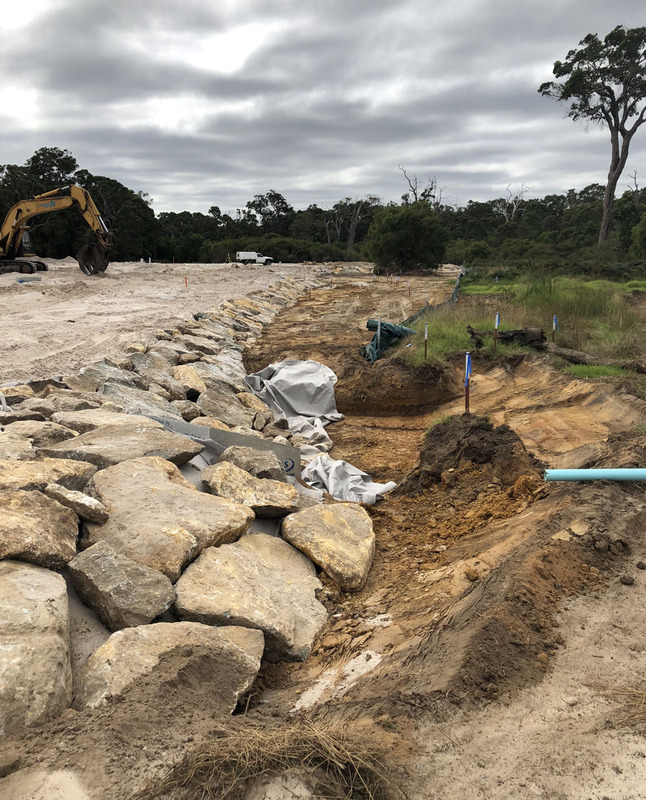 This excavated rock was also used as part of the drainage headwall and side drain constructions to create an overall rural aesthetic appeal. Rural road constructions also included brick paving at intersections. 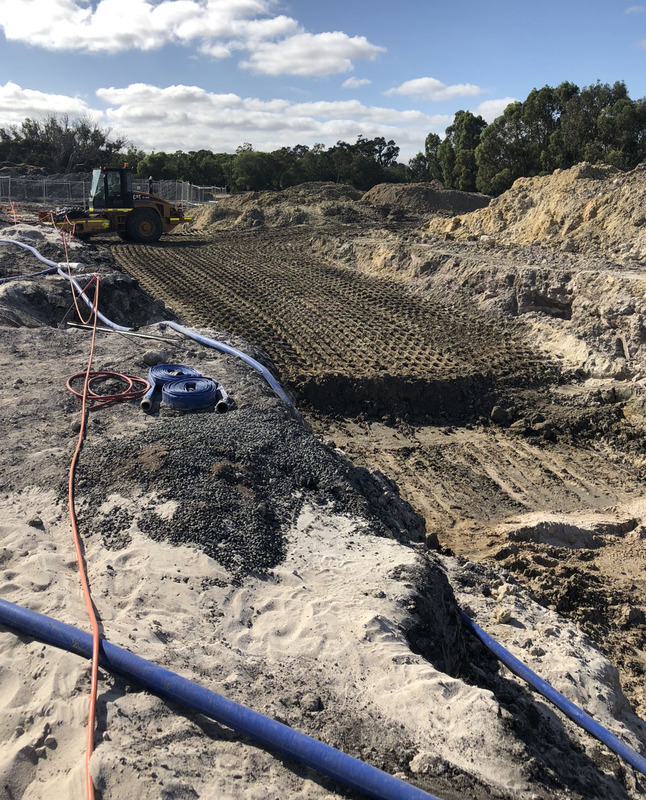 To reduce traffic noise to the new subdivision, an earth noise bund wall was constructed adjacent to the Busselton Bypass. This was also constructed using excavated materials from the deep excavations performed as part of the contract. 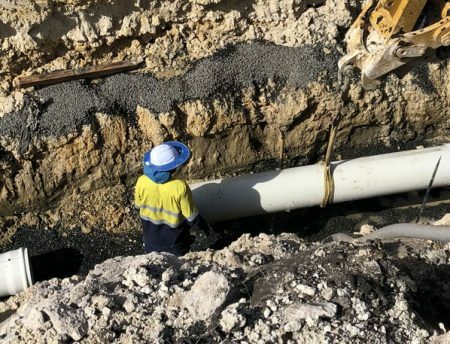 Leeuwin Civil was also responsible for the installation of stormwater drainage and utilities including a water main, gas, power and NBN communication constructions. rural pine post and rail fencing to all blocks.